QuickViewer is a portable image viewer which shows and navigates pictures with the maximum possible speed. Supported formats include JPG, PNG, GIF, BMP, TIFF, TGA, ICO, WEBP, DDS and assorted RAW types. The program can read archives directly, including ZIP, 7Z and RAR. There's also support for reading the comic book archives CBR and CBZ, as well as a spread viewing feature (two images at once) for the best comic-reading experience. There are simple zoom and rotate tools, you can copy images to the clipboard, send them by email or dispatch them to the Recycle Bin. Navigation tools include Forward/ Back, fast forward and back (jump ten images instead of one), and First/ Last. You can also display a very basic folder tree to help you move from one folder to another. Apparently the program can create Catalogs of many thousands of images, and search them with auto-generated tags. But when we tried this the program repeatedly added multiple copies of the same images, making it less than useful. Maybe you'll be luckier. QuickViewer does deliver in the performance department, thanks to optimisations like reading images ahead of time and making smart use of OpenGL. We tried browsing a folder of 385 images at full screen using three viewers. The regular Windows Photos app took 98 seconds to navigate the full set; IrfanView cut this to 32 seconds, but QuickViewer came top in only 17 seconds. What's new in 1.1.2 (see release notes for more)? 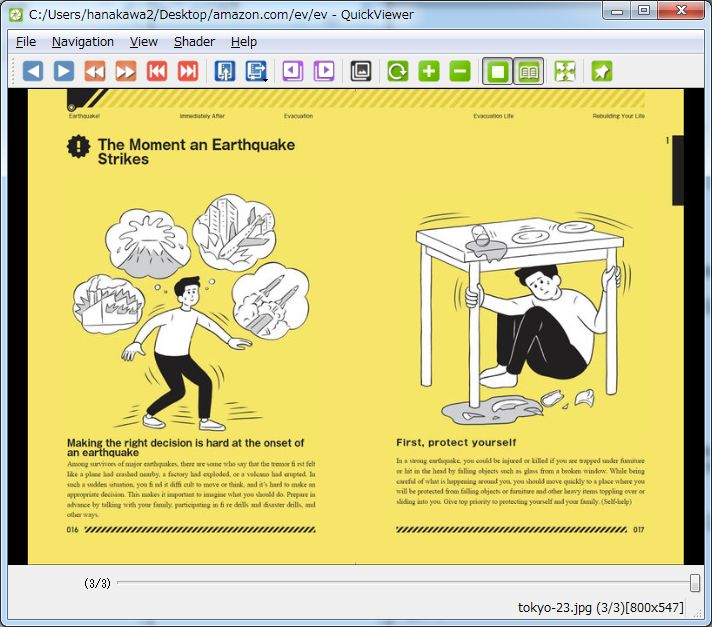 QuickViewer lives up to its name, displaying images at very high speeds. There are issues elsewhere - there aren't many features, some don't work as you expect (spinning the mouse wheel doesn't zoom), others don't work at all - but it's not bad at all for a first release. Check it out.